Are You Buying a Home or Other Real Estate in DuPage or Cook County, IL? 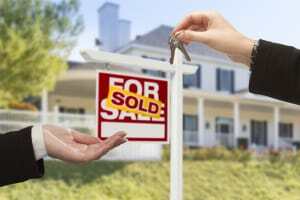 | Fournier Law Firm, Ltd.
Are You Buying a Home or Other Real Estate in DuPage, Cook, and Collar Counties? Buying a home is among the most substantial investments that most individuals will ever make. Every real estate purchase, including commercial buildings, condominiums, vacant lots, vacation properties, and single family homes, requires a serious financial commitment. You will be placing that money at risk if something goes wrong during the purchase period. An experienced real estate attorney will help you avoid disappointment and even financial loss by assuring that your real estate purchase transaction is handled properly. Give yourself peace of mind by teaming with a trusted real estate attorney who can help you through the purchase process. Call Fournier Law Firm, Ltd. at 630-792-1000 to schedule an appointment or fill out our online contact form if you would like someone in our office to contact you. Whether you are purchasing a commercial property or condominium, you probably understand the importance of having an attorney review all of the complex documents related to your purchase. For example, you need to be particularly cautious if you are buying a condominium that is in foreclosure. Illinois law might make you responsible for up to six months of unpaid assessments. Having an attorney on your side assures you that you will be aware of any hidden perils in your real estate purchase and will not have any unwelcome surprises. Even if you are making what seems to be an uncomplicated home purchase, a real estate attorney is still vital to ensuring your interests are protected. Some buyers think it is enough to simply have a real estate agent, but these agents cannot give you legal advice. Additionally, some buyers think title insurance will protect them following the sale, but title insurance only protects you from defects or liens on the title that occurred prior to you taking title. Title insurance will not help you with the other problems that may potentially arise while you are making a real estate purchase. These problems, and others too numerous to list, may put your financial investment at risk! Minimize your risk by adding a dedicated real estate attorney to your team. Before you sign a contract to purchase real estate, call Fournier Law Firm, Ltd. at 630-792-1000. Or, if you prefer to have someone on our staff contact you, just fill out our convenient online contact form. While real estate sales contracts in Illinois are standardized, they are neither easy to complete nor to understand. Even if you have purchased homes before, you might not know the meanings of several terms used in your mortgage documentation or in the clauses included with your sales contract. With more than fifteen years of experience with real estate transactions, Attorney Harry J. Fournier understands that buying a home or other real estate can be a stressful experience. He will work diligently to set your mind at ease by giving his attention to every detail of your real estate transaction. To make an appointment with Harry J. Fournier at our office in Oak Brook, call Fournier Law Firm, Ltd. at 630-792-1000. If you would rather have a member of our staff contact you, simply complete our online contact form and someone will contact you shortly.